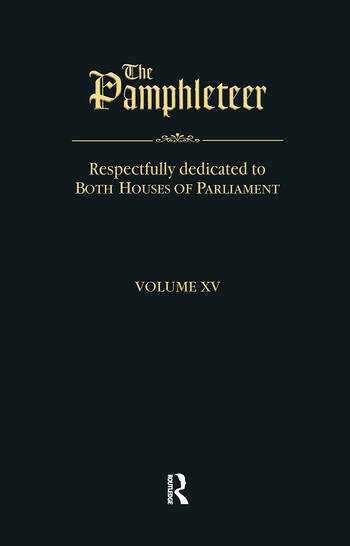 First published between 1813 and 1828 The Pamphleteer, is a unique collection of pamphlets and articles on a variety of subjects including philosophy, politics, political economy, jurisprudence, education and literature. An important forum of debate during a key period in modern history, The Pamphleteer abounds with works of significance and interest. The collection represents primary source material in the history of social sciences, and gives an invaluable overview of contemporary debates on a wide range of issues.